If you use Lead Builder and Premium Search, then you already know how effective they are for sales prospecting in LinkedIn's 277M+ member base. You probably already know the basics, like how to create lead lists using custom criteria to find new accounts. But there are a few tricks you may not be using that make these robust sales solutions extra lethal. Search your named accounts to find the buying committee, not just a single prospect Multi-threading into an account not only gives you a better understanding of the stakeholder map, it also gives you more access points and increases your chances of making the sale. 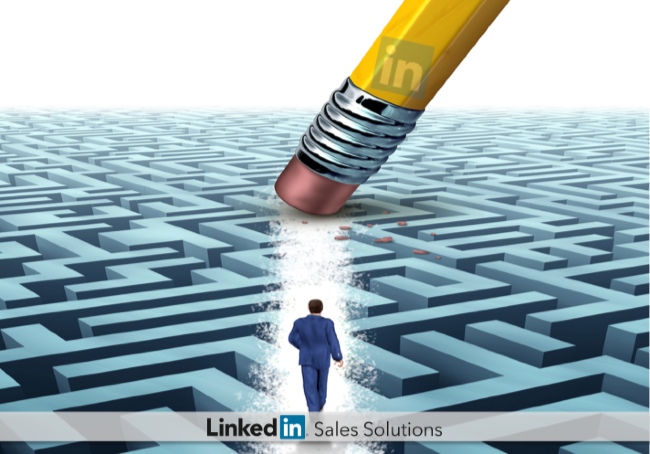 LinkedIn recently conducted a sales prospecting survey of several thousand sales professionals. We asked sales reps about their performance against quota and then compared it against their LinkedIn sales prospecting activity. Sales professionals who viewed the profiles of at least 10 people at each of their accounts were 69% more likely to exceed quota than those who viewed fewer than 4 people at each account. Keyword modifiers and boolean search terms help you get better results for the prospects you need to find. Simply type keywords into the search field at the top of any page or build search strings in the Keywords, Title, Name and Company fields in Advanced People Search. Start using keyword modifiers and notice how your search results improve. Here are a few more LinkedIn keyword modifier examples to get you started. When performing advanced searches, you can sort by 1st and 2nd level connections. This helps you perform sales prospecting and sell more efficiently by starting with the prospects most likely to buy. With TeamLink, you can identify how your entire company is connected with your 2nd level connections, allowing you to prioritize prospects with warm paths. There you have it. You are now more dangerous than you were three minutes ago. If you have three more minutes available, learn additional ways LinkedIn Sales Navigator makes sales prospecting simple.